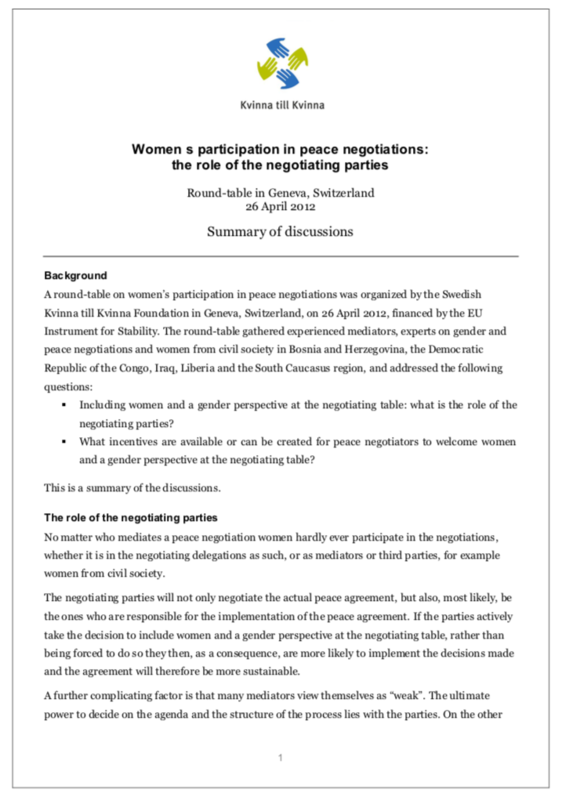 This document summarises the discussions held during a round-table meeting on women’s participation in peace negotiations, organised by Kvinna till Kvinna in Geneva in 2012. The meeting brought together experienced mediators, experts on gender and peace negotiations as well as women from civil society. The Kvinna till Kvinna Foundation promotes women’s rights in conflict-affected countries in the Middle East, Africa, Europe and the South Caucasus. We support more than 110 local partner organisations worldwide.